At first glance, you'd never believe these Timberland Pro Men’s TB0A1B4L 214 Brown 6-Inch Gridworks Slip-Resistant EH Boots were work boots. The style of these leather wedge heel men's shoes looks a little like something you might where on a date rather than on a ... (see full details) (see specifications) #TB0A1B4L214. At first glance, you'd never believe these Timberland Pro Men’s TB0A1B4L 214 Brown 6-Inch Gridworks Slip-Resistant EH Boots were work boots. The style of these leather wedge heel men's shoes looks a little like something you might where on a date rather than on a job site. Well, between the style and the comfort of these men’s general toe Timberland Pro shoes, you may just want to do both. Tough enough for just about any job with a special formula for grip in cold weather conditions, these brown work boots will keep up with all of the dirty, abrasive, and rough jobs you may have do. Meanwhile, the Timberland PRO Series technology will leave your feet so supported and comfortable, so you won’t want to take them off. And you won’t have to. Wear these handsome brown full-grain leather boots out with friends - because they look so cool, no one will guess they’re your work boots unless you tell them. (You may want to clean the dirt off first!) The durable and abrasion-resistant full grain leather is supple enough to bend and move with your feet while remaining tough enough for the hard kind of work you do. The black toe guards protect the most vulnerable parts of your men's Gridworks boots to extend their lifespan. Mesh linings on the inside of the leather uppers promote air flow around your feet for a cooler experience throughout your day with drier and more comfortable feet. Treated with anti-microbial treatment, these EH slip-resistant boots fight odors before they get out of control. All of the hardware on the uppers are brass for durability and style, too. The dual-density dynamic Anti-Fatigue Technology in the insoles works to absorb the shock of impact with every step you take for less painful feet at the end of the day. Using a combination of soft and firm materials, your feet are supported right where they need it the most, while the insoles work to return the energy absorbed when your feet contact the floor to spring your feet forward for more stamina in every step. 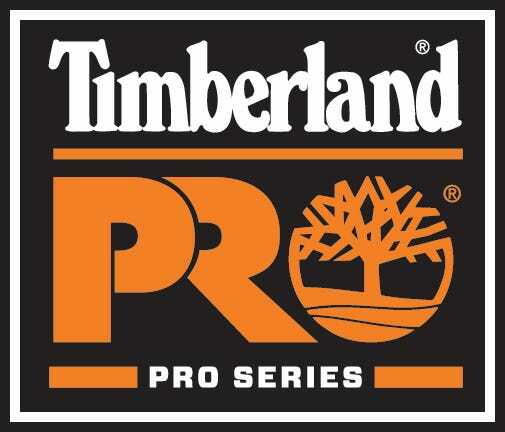 These Timberland Pro boots meet ASTM F2412-11, ASTM F2413-11, and ASTM F2892-11 standards for electrical hazard (EH) protection. The all-weather TPU (Thermo-plastic urethane) wedge-shaped outsoles are oil-resistant per SATRA TM63, heat-resistant up to 248-degrees Fahrenheit, and resistant to abrasions as well. So whether the terrain is freezing, oily, slippery, or rough, you can work confidently knowing these tough wedge outsoles have you covered. The outsoles are attached to the full-grain leather uppers with the durable Goodyear Welt construction, so you have all of the strength you need for work. With a proven record for comfort and durability, the best-selling Timberland PRO Series boots are a great choice when comfort is a top priority. Add a little style in the mix with these Timberland Pro Men’s TB0A1B4L 214 Brown 6-Inch Gridworks EH Slip-Resistant Boots from Working Person's Store, and you have the perfect men's footwear. This is a very comfortable boot. I'm a commercial carpenter and I work on concrete floors all day and my feet feel great after a long day. A lot of wedge style boots have foam bottom but these are rubber no slipping on floors. The size is true, your foot feels secured, the laces have not untied once in two months which is nice. Great value and comfort for the price; I am ordering my second pair. They are super comfortable. The only issue I have - I am re-ordering after 5 months, but I do work construction and I wear them every day for 8-10 hours. On my feet all day and these are comfortable boots. I can't say enough about these boots. Unbelievably comfortable. I have big flat feet and very rare to get a comfortable pair of shoes and I've been complemented by two women on The Styling. No complaints! Timberland PRO Boots: Men's TB0A1B4L 214 Brown EH 6-Inch Gridworks Work Boots is being added to your cart.